It was my turn to pick. Four others had already gone, they’d made their selections. All eyes turned to me; six pairs to be exact. The tension began to mount. The time was mentioned. I had two minutes. After deliberating for a few seconds I knew what I had to do. It was Saturday afternoon and the first round of the Movie League fantasy draft was under way. Already heartbroken at missing out on my true number one film of the year (Interstellar), I glanced at my suddenly overwhelming list of films, stared vacantly at my laptop screen, exhaled and prepared to make my second pick. The #1 Movie of the Year? Established eight years ago by a group of Queen’s Law students, the Movie League now boasts a mix of members from the world of comics, TV and the internet. Plus, um, me. While the idea of competitive movie prognostication has existed at places like the Hollywood Stock Exchange, the Movie League offers a far more personal touch. Like any other gang of fantasy league nuts, what bonds us is our irrational desire to get very involved in the fate of things far beyond our control. So, once a year the League gathers to draft rosters of films each entrant hopes will do well in the coming year. What constitutes doing well? The scoring system breaks down along two lines: money made and awards won. For every 1 million dollars earned, that’s a point. Nominations and wins from the BFCA and the Indie Spirit Awards get you 5 and 10 points each, respectively. Nominations and wins from the Oscars and Golden Globes get you 10 and 20 points, respectively. And the cream of the crop, the premium Oscar win (Best Picture, Best Director and the Acting awards), gets you a whopping 40 points. You can add and drop movies from your roster prior to their release on the big screen and even trading is allowed (though underused). That’s it, the rules are established. Eight rosters, ten films each, with money, of course, at stake. The effect the League has on me is really two-fold. For my inner competitive gambling/fantasy wacko, I can get spectacularly invested in the fortunes of a couple of films that I otherwise wouldn’t care about. Case in point, in my rookie season I was pulling for Saving Mr. Banks last year as it quietly tried to drum up some Oscar support (to no avail). I also had to explain how I ended up with the only Benedict Cumberbatch film to come out last year that didn’t succeed at all (The Fifth Estate). All members of the League end up agonizing over box office numbers, lamenting the flops of the year while pumping their fist at the surprise successes that emerge as the year develops. The war stories accumulate quickly. Secondly, as a film nerd, the Movie League opens the door to all sorts of early scouting and research. In order to be even half-way successful one must be aware of not only the carved in stone releases for the coming year (your Spider-Mans, your Hobbits, your Hunger Games), but also the smaller films without actual release dates (yet). Basically, the Movie League forces you to decide whether a prospect will have what it takes to claim major awards in 9, 10, or 12 months time. This is no easy feat. To offset this existential despair, you end up reading about all kinds of fun, interesting, and exciting films potentially coming soon. I read of new films from Tim Burton, Richard Linklater, Michael Mann, Anton Corbijn, Cameron Crowe, Philippe Falardeau and more. Is this as good a line-up as last year’s Coen brothers, Alexander Payne, Alfonso Cuaron, Paul Greengrass explosion? Time will tell. 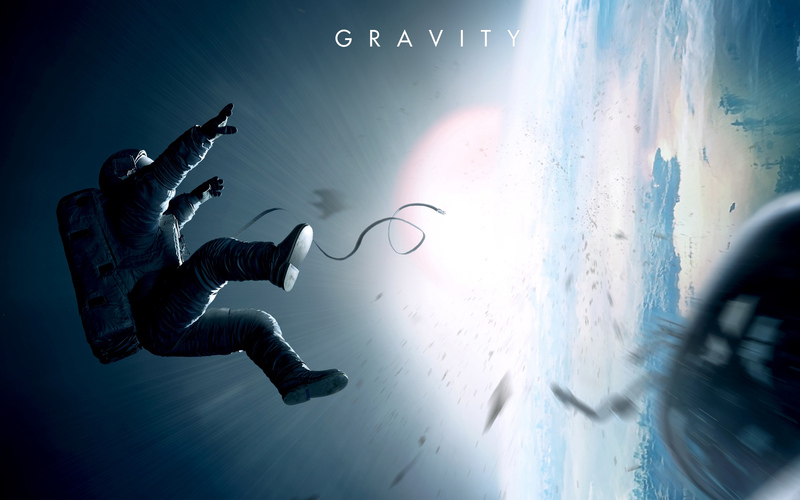 Last year’s big winner: Gravity. So the rounds of the draft continued, snake style. This being my second year in the League I knew the trend is typically one of big blockbusters picked for the first couple of rounds, then maybe an award hopeful gamble or two, then a reversion to known quantity mid-tier moneymakers and then, the most exciting final rounds: the total unknowns and huge gambles. I’ll use my eventual final roster of films as an example (and open myself up to some criticism, I’m sure). First two rounds, safe picks: The Hobbit: There and Back Again, Captain America: The Winter Soldier. Ideally both those films make huge money (and maybe even get a random batch of special effects award nominations down the line). Next up, Oscar hopefuls: Foxcatcher, Serena. I took the former to a response of polite applause and knowing nods; I took the latter to hoots of derision. The Movie League is merciless. To recover, the next three of four picks were solid money makers: 22 Jump Street, Ride Along, 300: Rise of an Empire. I managed to sneak the Stephen Daldry (he of the sterling Oscar reputation) directed film Trash in there too. Then the out of nowhere gambles: Kill the Messenger, a political thriller starring Jeremy Renner, and Child 44, a Cold-war era thriller with Tom Hardy and Gary Oldman. My hopes are high. But then, that’s really the best part of the Movie League. Up until last week I had never even heard of Kill the Messenger or Child 44 (or Trash for that matter). But now I am thoroughly invested. I want them all to be tremendous films, to make tons of money, to win all the awards. I’ll also be scouring the waiver wire trying to decide whether or not to cling in vain hope to Serena surprising them all. For someone who enjoys movies as much as I do, enjoys talking about the art and commerce of the film business, the Movie League offers an additional dimension to this most powerful entertainment. 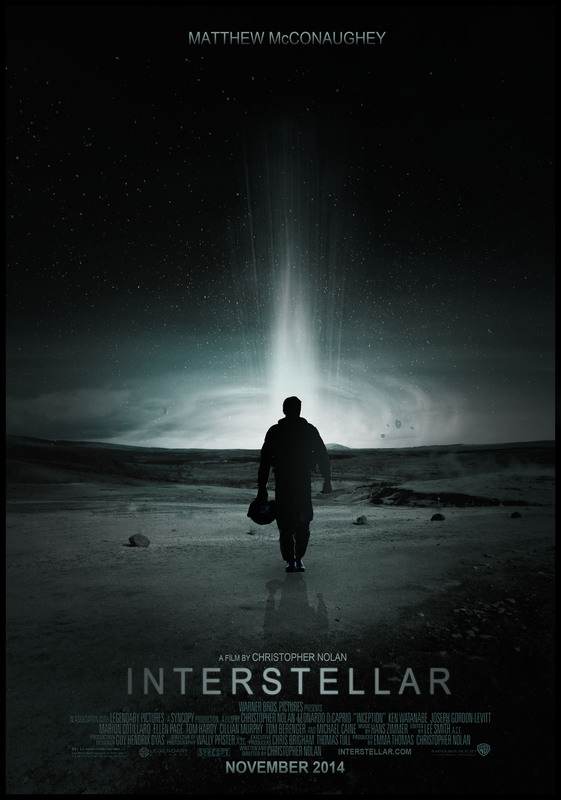 And yes, I will very quietly, deep down, be hoping that Interstellar does just ten percent worse because I didn’t get a chance to pick it in the first round. I told you the League was merciless. Feel free to follow along this year as the scoring is updated here. And maybe peruse the rulebook and start your own league. Because really, what is life without more reckless and unnecessary competition? What’s the over/under on you dropping Serena by early May…? Drop Serena? I’m taking Serena right to the League Title! Mark my words Del Col!! !